Bible study comments, notes, and helps. Answers to your questions about Scripture. Each commentary is copyrighted but is free for personal study. Click a link below then save the file to your computer and/or ebook reader. The books must not be reproduced for distribution, and in no case may they be sold for a fee. All rights reserved. See our copyright guidelines for more details. See our Suggestions for Studying Online Bible Comments. Note: We generally do not have the capacity to answer questions about our Bible commentaries. Please study and answer questions for yourself from Scripture. 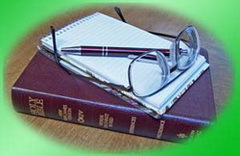 For help on specific topics, please see our Gospel Way site for topic studies.